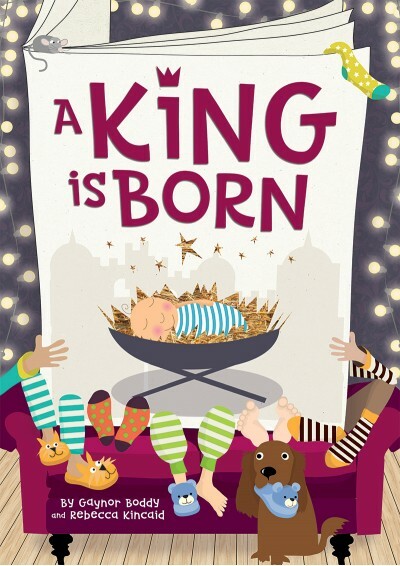 Perfect for 3-6 year-olds, A King Is Born is a delightfully cosy nativity musical that tells the traditional Nativity story with a humorous script and 7 wonderfully fun songs. Available with Words on Screen™ v2. It’s time to snuggle up by the fire and see the story of the very first Christmas come to life as Mum reads it to the children on an exciting Christmas Eve. Relive the miraculous story of the birth of Jesus, the baby king. Meet bossy Caesar and his census-takers, the angels, the shepherds and join the kings on their journey as they follow the star and come with wonder and awe to the stable. An Annual Performance Licence is required to perform this nativity play. View cast list and staging suggestions. There are 30 speaking parts in this production. This can easily be increased by adding the optional scene that we have provided and splitting a number of parts. The speaking parts can be easily decreased by reducing number of characters and doubling up parts. Further reductions would be possible with alterations to the script. See staging notes above for more details. It's A Squash, It's A Squeeze! An awesome performance by our EYFS and KS1 children. The songs were catchy and the script was easy to follow. The teachers did a special dance to “A squash and a squeeze” Thank you out of the ark for always always coming through. I would recommend this Naitivity over and over and overrrrrrrrrrrrrrrrrrr again. #Awesome. Thumbs up! Loved this nativity for our Cnristmas Eve Special! Been doing this for 20 years and this is the best one yet! Can t recommend it enough! My sis did this play she loved singing all the songs and it was really fun to watch her perform she says it's the best play she's ever done . Thank you out of the ark .